This easy to make origami house makes a great little dollhouse for little toys! This is a great little DIY project to fold with children, the house is easy enough for kids to fold with some help from grownups. 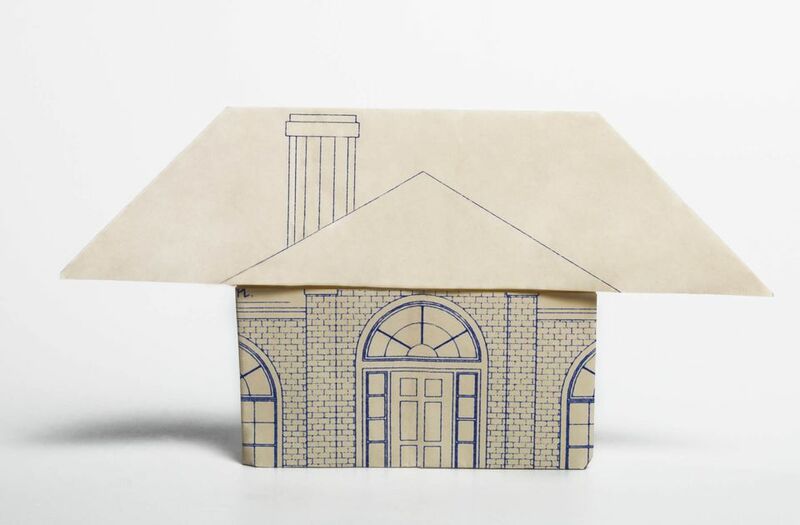 There are many uses for this little paper house, use it as a dolls house or use it to make a seasonal scene such as a Christmas nativity, Easter display, or for Halloween! You will need one sheet of square paper. If you can find some paper that has white on one side, and a color such as blue or red on the other, you will end up with the roof that's colored. 1. Fold your paper in half, from bottom to top, creating a central horizontal crease. Unfold. 2. Next, fold the bottom edge up to meet the central crease. 3. Fold the paper in half from right to left, creating a central vertical crease. 4. Fold the left and right edges, in to meet the central vertical crease. Tip: Make your first few creases as perfect and accurate as possible, take your time and your finished origami model will turn out well! 5. Fold the top right corner, down to the left, aligning the edge along the horizontal crease you made in step 2. 6. Do the same with the top left corner. 7. Fold the bottom left and bottom right corners in diagonally and unfold. 8. Fold the top edge down to meet the central crease and unfold. 9. Flip the paper back over to the other side. 10. Collapse the top left and right corners inwards and down, the top will also fold down on top. 11. Re-fold the bottom left and right corners. 12. Fold the right section over to the left. 13. 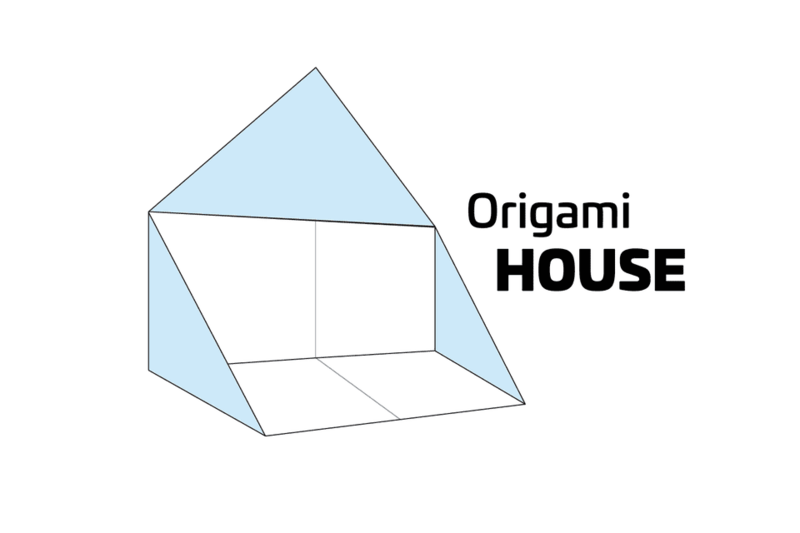 Pick up the origami house, and fold the tip of the flap you just folded, down to the lower right corner, you will need to fold the top section down in order to make this fold. 14. This is what you should have. 15. Repeat the same process on the left section. 16. Fold the lower section up, you will have two little triangles, which you can insert underneath the flaps behind them. You can unfold the house slightly in order to fold these flaps inside. If you have any trouble with these last few steps, check out this quick video tutorial. You will probably notice that your house flips backward when you try to stand it up! You can fix this issue by either putting something in your house or making the bottom heavier by sticking some card underneath.